Home / Blog / Can I Have a Medical Marijuana Card in More Than One State? While the United States has state laws that neatly categorize legislation by area, the reality isn’t that simple. If you live near a state border or in a smaller state, you might regularly go to a nearby state. Or, you might have just moved to a new state and have to follow new laws. Since marijuana is only legalized in certain state’s legislation rather than federal law, what you can do with it depends on the state you’re in. Since 29 states and Washington, D.C. allow medical marijuana, you have a lot of rules to sift through. So, what should you do if you’re a state-hopping medical marijuana patient? Should you get another marijuana card so you can get medicine in multiple states? Read on to find out your options. So, Can I Have a Marijuana Card in Multiple States? It depends on whether you’re thinking of using the same card in different states or getting a card for each state. Some states accept out-of-state medical marijuana cards for medicine purchases and/or carrying marijuana. But, if you’re looking to get cards from multiple states, in most cases you’re out of luck. To sign up for any state’s medical marijuana program, you must prove you live in that state. Some states don’t even acknowledge out-of-state IDs in their applications, and the ones that do usually require you to provide another document proving where you live. Residents of a different state can’t apply for a medical marijuana card. Florida does buck this trend by allowing part time residents even with an out of state license to get a card. It’s generally a good idea to get a new medical marijuana card when you move, if possible. If you buy and use weed in a state that accepts out-of-state marijuana cards, you might be able to use your old ID for a while, but it’ll eventually expire. Some state programs take a while to apply to, so the sooner you apply, the better. 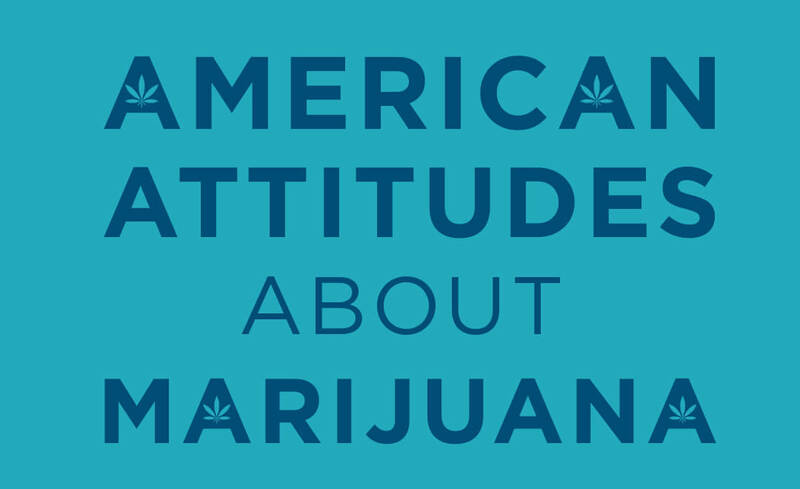 However, just because you can’t have more than one state’s marijuana card doesn’t mean you can’t buy and use cannabis. Some marijuana-friendly states have laws that allow visitors to medicate with cannabis during their stay. Certain states allow dispensaries and officials to accept medical marijuana cards from a different state. This helps tourists and other visitors medicate while they’re on the go. If you happen to forget your weed or run out of medicine when you’re in a state that approves purchases, you can go ahead and buy more. Arizona: The state of Arizona allows visitors with marijuana cards to possess and use medical cannabis. However, it doesn’t let them buy marijuana medicine from an Arizona dispensary. So, you can bring up to two-and-a-half ounces of weed with you, but you can’t buy any extra. Hawaii: As of January 1, 2018, licensed patients from a different state can buy and use cannabis medicine in Hawaii. Since it can be nerve-wracking to bring your medicine on a plane with you, Hawaii can help you out. Make sure to carry under four ounces in a 15-day period or eight ounces in a 30-day period. Maine: Maine will treat a visiting patient like a resident patient if they have the proper documentation with them. Visitors must have a Maine-specific form filled out by their doctor, a marijuana certification and a photo ID. Once you have those papers, you can use, possess and buy medical marijuana. Michigan: The state of Michigan accepts out-of-state medical marijuana cards just like they would a Michigan card. However, their marijuana laws are stricter than most states, so read their policies carefully before bringing your medicine. Nevada: As a recreational state, Nevada already allows the sale of weed to anyone 21 or over. However, if you need your card to buy certain kinds of medicine, you can use it if you come from a state that protects patients from criminal prosecution. New Hampshire: You can bring your medicine along with you when you visit New Hampshire, but you can’t buy any at a local dispensary. Make sure you have a qualifying condition under New Hampshire state law. New Hampshire allows patients to carry up to two ounces of cannabis at a time. Pennsylvania: As of the date this article was written, Pennsylvania’s medical marijuana program is still developing. While they work on that, caregivers in Pennsylvania can get marijuana medicine from a different state for a minor under the age of 18. They must obtain the medicine legally in the state of origin. Rhode Island: Rhode Island will let you possess up to 2.5 ounces of cannabis if you have an out-of-state card. However, you can’t buy from a Rhode Island dispensary. If you’re thinking of visiting a state that isn’t mentioned in the previous list, you still have a chance. Eight states allow recreational use of marijuana, which means that anyone over 21 can purchase it. The difference between recreational marijuana and medical marijuana varies from state to state, but they usually involve a few factors. Medical marijuana patients often have access to waived sales taxes on weed purchases and stronger medicine. Entering a registry also lets state officials collect non-invasive data on medical marijuana use. Alaska: If you need to get away from the rest of the country, Alaska permits recreational marijuana use. Make sure to carry under an ounce at a time — the fine for carrying more is steep. California: If you want to medicate in California, you picked a great state to buy marijuana without a medical ID. California was the first state to legalize marijuana and serves as a pioneer in the industry. Colorado: Colorado was one of the earlier states to establish recreational marijuana laws. However, they don’t allow use in public and many hotels ban using marijuana. If you want to use cannabis in CO make sure to check the policies of where you are planning on staying. Nevada: Tourists and visitors can use marijuana in private spaces in Nevada. Yards and porches are considered private, so if you’re visiting a friend, you can use those parts of their residence to medicate. Oregon: Oregon allows towns and counties to establish marijuana laws. So, you can find dispensaries mainly in the western half of the state where there are more cities. You can carry up to an ounce in public. Washington: Although it has strict marijuana regulations, Washington does allow adults to buy marijuana for recreational purposes. You can only have one ounce in your private possession — you can’t carry your medicine with you. Remember, marijuana laws change frequently, so check the current legislature from time to time. Also, a licensed marijuana doctor or a dispensary budtender can give you more details about the laws in your state.